1. US heat pad. The heating component is imported from USA which can last 3 times longer than other machines. 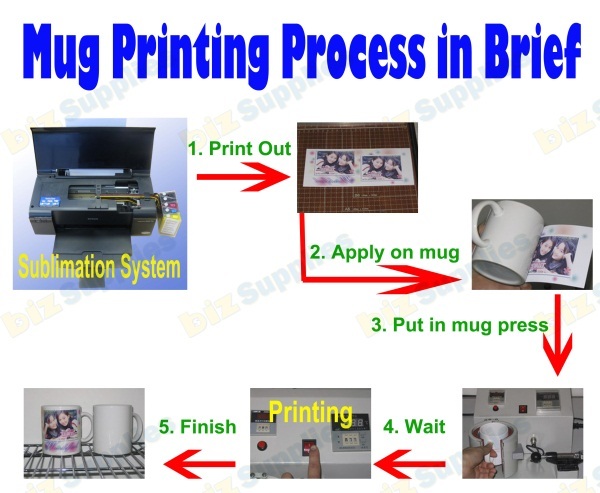 Be careful about this most important part when you buy a cheaper mug press. This machine can make over 2000 mugs before the heat pad need to be changed while others only 600-700 mugs. 2. Heavy Duty. Designed for heavy usage, handle and bar are stronger and more durable. 3. Technical supports. We are the specialist of sublimation heat transfer so we will help you at anytime. 4. Spare parts are available. We keep all parts of this mug press so whenever your mug press stop working, we have the right parts to fix it.